Yesterday we discussed the various means of protecting your gift and stored value cards from being used in a fraud scheme. Today, we are going to present some of the more common methods of theft that we have seen across the retail industry. This list is not all-inclusive, and we would like to hear of any additional methods you have seen related to thefts involving gift cards or other stored value cards used within your company. As mentioned in our previous article, most retailers still see internal theft being the driving cause of gift card fraud. Yes, there are methods and incidents involving larger, perhaps organized, external fraud schemes, but many retailers continue to see internal theft as the leading cause of loss. This fraud may be simple, but still one, if not, the most commonly used. An employee receives a gift card as payment from a customer. The card after purchase still has a balance. The employee switches the card with a zero balance card lying by the register. The customer leaves with a zero balance card, and the employee takes the customer's original card with remaining balance. Next time your customer comes back they will not be happy to learn they have a card with no balance! This method depends on when your gift card is activated and can be difficult to catch if your POS system doesn’t show when the register is off-line, shuts down or missing a transaction. An employee rings up a gift card and activates it at the point of purchase. Before tendering the transaction they unplug or conduct a hard shut down of the register. Did the gift card activate? Did the transaction get recorded? Some retailers have lost thousands because of this method before realizing what had occurred. Hopefully we see less and less of this method of fraud based on improved card protection. 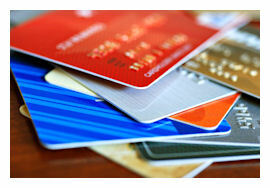 But, if you don’t have scratch-off labels on your cards or keep an eye on blank gift cards, you could fall victim. An employee writes down the numbers from the back of blank cards and then waits for them to be purchased by a customer. Once the card is activated, the employee has the number and can use that card either by manually ringing the gift card number at the POS or use it at the register. Depending on the capabilities of your POS system, you may find several loopholes in an associate’s ability to obtain gift cards. An employee rings the purchase of a gift card on register #1 for $100. They complete the purchase, but do not put any money in the register (no customer is present). They go to register #2 and purchase two (2) $50 gift cards, using the gift card of $100 as tender. They then go back to register #1 and Post Void the original sale. They now have two (2) $50 "clean" gift cards that they paid nothing for. Can't post void a gift card sale? What happens in your POS system if they cancel the sale or suspend the original transaction instead? If your gift card activates before tender, you may want to check out the ways you can negate a transaction but still activate a gift card! Play with your POS system to see if there are ways to manipulate the system. This method of theft is most often found with organized groups or external schemes, but even the internet has “how-to” documentation on rudimentary ways of cloning cards (try searching “gift card cloning”). Blank cards are taken from the store and the magnetic card stripe is duplicated or re-programmed on additional blank cards, replicating a gift card. The “customer” then uses either the internet or a phone system to monitor the balance on the cloned card. Once a balance exists, the cloned card is used to purchase merchandise. When the legitimate customer goes to use the card, it is learned that there is no balance. Although this method is actually acts of credit card or check fraud, gift cards are often used as the merchandise of choice. Multiple purchases of gift cards in short periods of time using the same credit card or purchasing high dollar valued cards with checks or credit cards should be looked at cautiously. Create restrictions or limits of dollar amounts on a gift card to protect against using fraudulent monies to purchase cards. Enhancement of your reporting to quickly detect multiple purchases using similar tenders should also be considered.